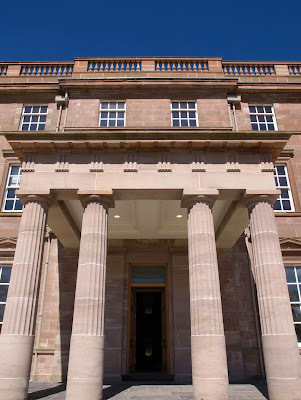 LEADING Scottish property consultants CKD Galbraith and Savills have joined forces to market an exclusive development of luxury homes in a beautifully restored mansion in the heart of Ayrshire. Coodham (pictured above) is a 90 acre estate steeped in history and dating back to 1862. The property was built by the widow of William Fairlie in honour of her late husband and named ‘Williamfield’. The Fairlies’ son, James Ogilvy Fairlie, takes his place in golfing history as the founder of both Prestwick Golf Club and the inaugural British Open. Coodham was taken over by Sir William Holdsworth, who made significant improvements to the house and its surroundings and opened it up as a local visitor attraction. 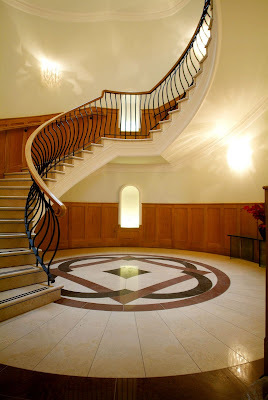 The mansion house later fell into ruin but has now been restored to its former glory and transformed into six stunning contemporary apartments and three very individual houses. As part of the restoration of the four floor building, the developers have worked impeccably to ensure that the original character and integrity has been preserved, whilst creating stylish and individual apartments. Meticulous attention to detail is evident throughout, from maintaining the original woodwork to the ornate plasterwork. 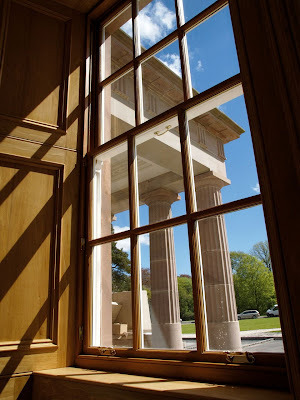 The beautiful stonework has been restored or replaced, where necessary, to exacting standards, including the replication of the entrance pillars and roof balustrade. The luxurious interiors will be finished to the highest of standards with every aspect of the apartments designed to create space. Timber floors and individually handcrafted doors and windows feature throughout, high spec bathrooms and kitchens exude quality, and state of the art technology is available to create cable free audio visual facilities including lighting, satellite TV and a video-voice security system. 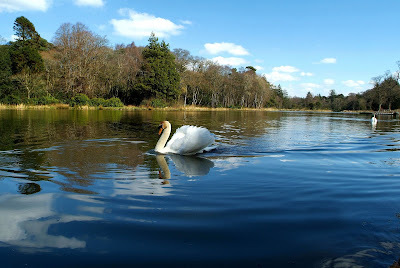 The spectacular 90 acre grounds and gardens have benefited from the same attention to detail, offering 2½ miles of picturesque walkways as well as the lakeside woodlands, which are of significant horticultural status and attract a variety of birds and wildlife. The large private lake has been cleared and stocked with fish and a new island created. 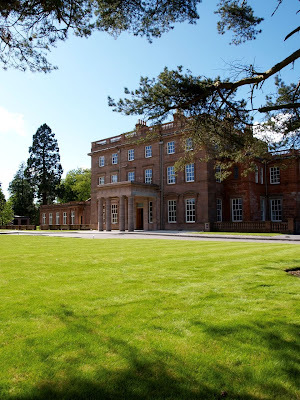 Outwith the private grounds, this area of South Ayrshire offers an abundance of outdoor pursuits including championship golf courses at Royal Troon, Turnberry and Prestwick. Exceptional sailing facilities are available at Troon, Largs and Inverkip Marinas and the area’s lochs and rivers offer salmon and trout fishing for beginners to enthusiasts alike. Coodham is situated close to the delightful village of Symington, approximately 10 miles from the town of Ayr which offers a full range of facilities including bars, restaurants and shops. The bustling city of Glasgow is easily reached in around 45 minutes. The houses and apartments range in size from 2 bedrooms to 4 bedrooms, all providing generously proportioned rooms. Prices range from £330,000 - £750,000. There are currently 529 Ayrshire business stories permanently archived on this site. To locate those of most interest to you, please use the site search facility in the top left hand corner of this page. Type your search term in the white box, then click “SEARCH BLOG”.